Miyamoto also has an excellent way of speaking about his craft. And Satoru Iwata is a great speaker who asks some really good questions (that is, after all, his job as Nintendo President). The two go hand in glove. It’s through these conversations that Miyamoto is really able to describe how he makes his games and his philosophy behind his designs: he doesn’t simply state, “This is how I make it because that’s the way it should be done,” he describes the reasoning behind the decision. Even if it’s something abstract like how a propeller should sound or how a game “smells”. But the core of this statement is actually something he brings up at the end of the interview: difficulty ramps in Mario. Here, Miyamoto argues that a game is better if you have to start the level again because it increases the level of intensity and makes the game more enjoyable. If you have a risk of dying before the final boss, it makes it all the more urgent that you don’t fail. At the same time, Miyamoto states that this means the player gets to play through an easier part of the game to get to that hard part and this means the player gradually gets more skilled at the game as well as a sense of mastery over it. What is most surprising about this observation is that it matches exactly with the diagram of teaching. Simply put, like Flow, there are three states in which a student can be in with regards to learning. The first is boredom, where what is being taught is uninteresting or the subject matter is too easy. The second is engagement, where the student is actively learning because the material is interesting and the questions are matching their skill. We would say at this point the student is in a Flow state, and it is here that they are most receptive to learning. The third is anxiety/frustration in which the student is being asked questions that are too difficult for him or her. This is a bad state for students to be in because it not only means they are not learning anything, but they are also shutting down, clamming up, and becoming defensive. They don’t want to be called on because it will make them look like an idiot to their peers. And nobody likes that. Now the most interesting part here which Mihalyi Czicsentmihalyi doesn’t seem to pick up on but which Miyamoto and Iwata seem to is that in order to is that in order to get the student back to that engagement phase, the teacher has to first bring the student back to the boredom level: you can’t simply drop back into a flow state if the player is frustrated. You have to make them bored first by giving them something very easy. This is exactly why Miyamoto has built level restarts into his games, even if he doesn’t express the reason in those terms. The next question though is how far back of a restart is too much? This isn’t simply a general rule to apply to all situations; there are certainly games out there that have longer restarts than others and ones that do not. There are also games where it is more frustrating to restart. First, let’s compare two classic arcade games, Gradius and R-Type. Both are notorious for their difficulty, but they both go about it in different ways. In Gradius, if the player dies at a very high level of the game, his ship will lose all of its powerups. This means the player must fight through a grueling stage with only a pea shooter; it is next to impossible to win. R-Type will also make you lose all of your power-ups. However, the game usually places two or three power-ups close to the start (the R9 can also fire a charged shot for increased damage, which is something Vic Viper cannot do in Gradius). 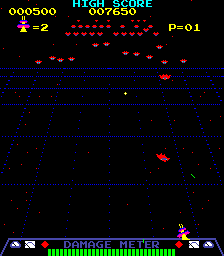 Sometimes, there is a particular strategy the player must employ to get those power-ups (fly the ship here, shoot this enemy there, dodge that wall, now back out of this trap with the new weapon). 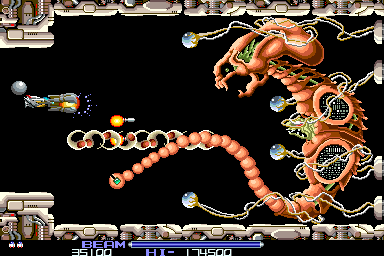 While R-Type is still incredibly difficult, the fact that it allows players to power-up their ships shortly after dying means that the player at least has the illusion that they can beat this level. 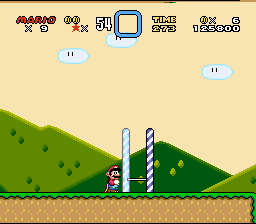 This is because it makes the section immediately after collecting the power-ups a little easier and because gaining a power-up gives the player more confidence. They will still likely explode ten seconds into the boss fight, but hey, they at least have the tools to beat it! Other shooters give a similar strategy of replenishing a player’s smart bomb supplies, but this perhaps not as strong an impact as giving the player some tools before sending him through a slightly less difficult section. Of course, if the player was to restart from the beginning, he would be able to pick up more power-ups and perhaps have an easier time of it (as well as a higher score to reward for it). When arcade games get ported to home console (or are played on an emulator or with free play), the player is usually given an unlimited number of continues. This is interesting when we apply it to one of my favorite arcade games, Metal Slug. These games are like Contra on crack: they are incredibly difficult, but they are also full of slapstick humor, from copious amounts of blood, cheesy screams, and large amounts of soldiers and equipment able to be destroyed simultaneously. This humor makes the game more fun to play, even though it is ridiculously difficult. In 2001, SNK released Metal Slug X for the PlayStation 1. This game was incredibly fun to play through, even though it was incredibly difficult. This is because the game had unlimited continues. My brother and I became used to pumping another continue. There were challenges to clear a level with dying as few times as possible, but the safety of being able to continue where you died made it possible to reach the end of the game and experience all the humor it had to offer. The thing was, the game could be beaten in 20 or 30 minutes, and so after finishing it, we would start it over again. SNK/Playmore followed this game up with a port of Metal Slug 3 to the XBox in 2004. The developers removed the unlimited continue system this time around, meaning players could only continue a small number of times, which made it impossible to play 3 the entire way through in one sitting unless you were very skilled at it. We had become spoiled by unlimited credits. This also meant the game was less fun because the player had to restart the level, which meant game play could not be uninterrupted. This also means that one player doesn’t have to sit out and watch. This experience was very important to Metal Slug because my brother and I do not have equal skills. Sometimes, one of us is much better at a game than the other. Losing the game and having to watch the other person play becomes boring, regardless of what is going on in the game: it is simply more fun to take part in the action than to watch and be unable to influence it. Without noticing, our play styles had changed to match the unlimited credits system when coupled with co-op play. In any case, we were able to fairly easily clear most of the stages, but the final level was a beast. Metal Slug 3’s final mission is one of the longest in any game: I have played shooters that are shorter than this level’s seven parts. Having to restart this level is like having to restart Mario from the beginning of the world rather than from the beginning of a stage. In order to get back to that castle, the player would have to play through the four stages leading up to it. This isn’t to say that these levels or parts of the levels might not be fun, but it was inconsistent with the play style we had developed from previous games. When you play a game with the ability to continue where you left off and you get to a very difficult part, you find that you blow through that credit in a very short span of time. It might take two or three credits to complete an exceptionally difficult boss fight. At this point, you will have one of two responses depending on whether you are paying as you go or if you have unlimited free credits. In the first instance, it becomes frustrating and a little scary because you have just put several dollars worth into the machine. In the second, it is boring because the game is incredibly safe: you will eventually beat the boss if you shoot it enough (“It will take many bullets to win”). The level is boring because the player isn’t seeing anything new or being presented with a new challenge: it is just an incredibly difficult boss fight. This is interesting because we have the exact same situation only in one case there is a risk and in the other there is no risk other than time. Now Miyamoto’s own games have traditionally had two continue systems. The first is in Super Mario Bros. (1985). Here, the level has a continue point. If the player dies after reaching the continue point, instead of beginning at the beginning, she can continue halfway through. This makes it easier and provides a little padding. However, if the player loses all her lives, she will have to start the game from the beginning of the entire game. We can contrast this with the version of Super Mario Bros. in Super Mario All-Stars (1994). This time, the player can continue from the beginning of the world rather than the entire game. Super Mario World (1990) and Super Mario World 2: Yoshi’s Island (1995) have two different systems that build on this. In Super Mario World, the player has save points which are reached after beating a fortress, castle, or ghost house, or by hitting a ! switch. This means a player can return to an easier level and clear it to save. In addition, when the player reaches the halfway point, they can gain a mushroom as a reward. Super Mario World 2 used an auto-save system. At this point, the game is saved after the player completes a level. This means that there is less of a risk if the player runs out of lives. Here then are four different continue systems that Miyamoto has used throughout the years. Both have different systems of risk and reward, with the original Super Mario Bros. being more punishing. Yet at the core of these, Miyamoto’s system of having the player restart the stage is still present: if the player runs out of lives, he still has to play from the beginning. However, he can always go back to an earlier level and collect more power-ups to make the level easier. These are less frustrating than Metal Slug 3 on the XBox because the continue period is shorter: you don’t have to play for fifteen minutes just to get back to the place where you died. However, it isn’t necessarily the length of time it takes to get back to the point where you died, as Metroid Prime 2 (2004) demonstrates. 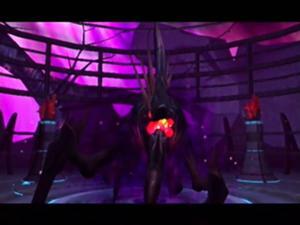 Metroid Prime 2 had notorious difficulty for particular bosses, but this was coupled with the long distance from the save room to the boss chamber. Now this distance is much shorter than the fifteen minutes of Metal Slug 3 or even the two or three minutes of an average Mario level; we might be talking about only one minute to get there. However, this was incredibly frustrating to have to do this each time you lost the battle for a completely different reason: there was simply nothing challenging happening. For instance, before fighting the Boost Ball Guardian, the player has to traverse several rooms, most of which have no enemies in them. In contrast with a Mario level, there are plenty of enemies and obstacles to overcome, and this is slowly making the player better at the game. In addition, all that hopping and stomping and dodging are skills that will be required to beat the boss of the castle (or to at least overcome obstacles later on in the stage). In Metroid Prime 2, there is nothing that is making the player better or helping her warm up for the fight. As a result, the section is boring. To make matters worse, the section immediately after the fight is very difficult, meaning the player jumps almost directly from boredom to frustration. Miyamoto’s formula for level design is thus not simply a rule of ‘continue from the beginning of the stage when you miss’; the amount of time it takes to get from A to B should be taken into account as should what the player is doing in the process of getting from A to B. In order to bring the player back down from the frustration level, the game has to present the player with an easier challenge that will build their confidence and prepare them for the more difficult part. The more confidence the player has, the better they will do, and the more enjoyable the game will become. This entry was posted on November 26, 2009 at 4:34 pm and is filed under Game Design. You can follow any responses to this entry through the RSS 2.0 feed. You can leave a response, or trackback from your own site.